We work hard to ensure a positive working relationship among management, staff, and parents. We run low child:teacher ratios to reduce stress in the classroom, resulting in a more positive environment for children and teachers. Growing Room offers an attractive benefits package for full time employees to include health, dental, life and vision insurance, as well as, paid holidays and vacation. Our staff consists of experienced professionals who are carefully selected through interviews, classroom observations, employment references, FBI & ABI criminal background checks, and drug screens. We believe strongly in preparing employees for higher level positions and actively promote from within as opportunities become available. It is our philosophy that employees who work their way up have a unique perspective that allows them to be great leaders. Responsible for the daily planning and implementation of the Growing Room curriculum. 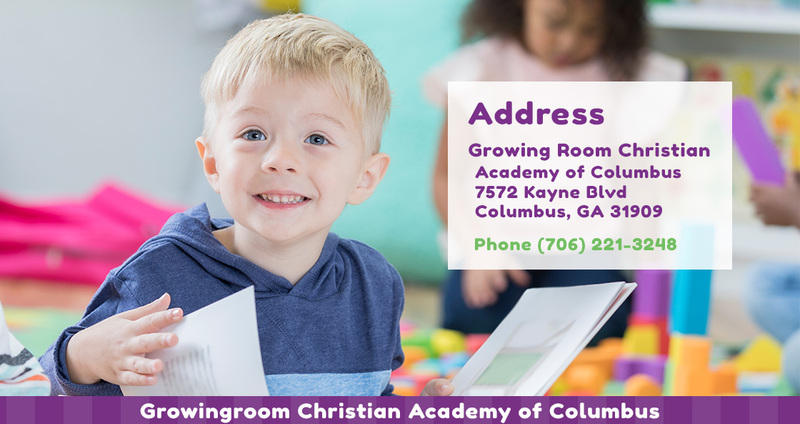 Ensures that all children are actively engaged in a safe, organized, stimulating classroom environment and actively develops and maintains positive child and parent relationships. Must understand and demonstrate age appropriate guidance principles and expectations. A CDA or higher education is desired. A High School Diploma/GED is required. Must have a minimum of 2 years group care experience in a quality child care environment. Responsible for ensuring children are actively engaged in a safe, organized, stimulating classroom environment. Assists in the daily management and supervision of the classroom and children as directed by the Lead Teacher. Must understand and demonstrate age appropriate guidance principles and expectations. A High School Diploma/GED is required. A minimum of 1 year working with children is strongly desired. Responsible for preparing and serving breakfast, lunch, and snacks to 200+ children daily. This person is responsible for maintaining health and safety standards as outlined by the local Health Department. Must have a High School Diploma/GED, Serve Safe Certification, and experience in a commercial kitchen. Responsible for assisting Cook with preparation and serving of breakfast, lunch and snacks to 200+ children daily. Has primary responsibility for daily kitchen clean up. Must have a High School Diploma/GED. Responsible for driving school age children to and from school via a Growing Room 15 passenger van. Responsible for driving children to and from field trips as needed. Must ensure vehicles are properly maintained and serviced. This individual will act as an Assistant Teacher when not driving. Must understand and demonstrate age appropriate guidance principles and expectations. Must have a High School Diploma/GED and safe and violation free driving record. Insurance also requires this person be a minimum of 21 years of age.